James Logue joined Moore Ingram Johnson & Steele in 2017, as a member of the firm’s Litigation Department. 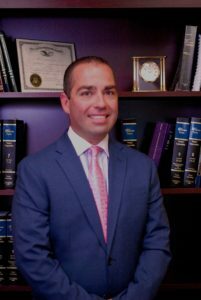 During the course of his career, he has represented both large and small companies and corporations and has litigated cases in over twenty (20) counties in Pennsylvania. James is admitted to the Federal Middle District Court of Pennsylvania, the Federal Eastern District Court of Pennsylvania, the Federal United States Court of Appeals for the Third Circuit, and the U.S. Bankruptcy Courts for the Middle and Eastern Districts of Pennsylvania. Recently, James completed a civil jury trial arising out of a slip and fall incident that occurred at a regional supermarket chain in Montgomery County, Pennsylvania. James defended the grocery chain against allegations of negligence in the care and maintenance of its floor during inclement weather. After deliberating for an hour, the jury returned with a verdict of only $1,500 for medical expenses (when the Plaintiff was seeking $3,881 in alleged medical expenses), and $0 for pain and suffering. The $1,500 award was reduced to $780 based upon the jury’s finding that the Plaintiff herself was 48% negligent through her own conduct. James was appointed as a Certified Mediator for the Federal Middle District Court of Pennsylvania in 2017. James was the recipient of the 2009 Special Pro Bono Recognition Award for York County. Raised in the suburbs of Harrisburg, Pennsylvania, James has strong ties to the community and volunteers with a number of local charities and Boards. James currently resides in York County with his wife and son.